How Far is Sri Sairam Towers? Sri Sai Ram Towers located in one of the beautiful environments of Hafeezpet, Hyderabad. It has been a distant dream to most of us to own a house which matches your luxury lifestyle, in a beautiful location which is far away from the city. Sri Sairam Towers offers a wide range of apartments from 2-5 BHK with various carpet sizes. 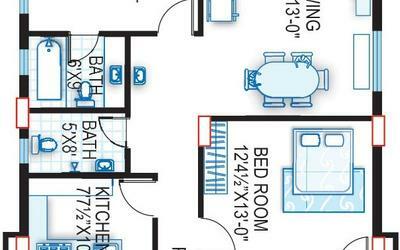 2BHK Apartment in Hafeezpet, well designed, it offers various carpet area size from 960 Sq. Ft to 1088 Sq. Ft. 3BHK Apartment spaciously designed allows more natural light all over the corner with a carpet area size from 1196 Sq. Ft to 2240 Sq. Ft. 4BHK Apartments with a carpet size of 1840 Sq. 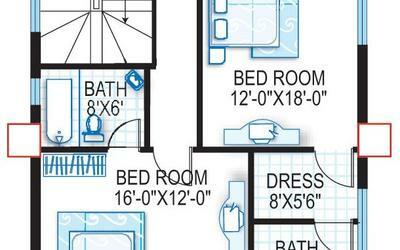 Ft. 5BHK Apartments with carpet area sizes of 2840 Sq. Ft. The project offers luxury spacious flat, provided with best unique interior designs. Offering you a wide range of apartments for sale in Hafeezpet, Hyderabad. 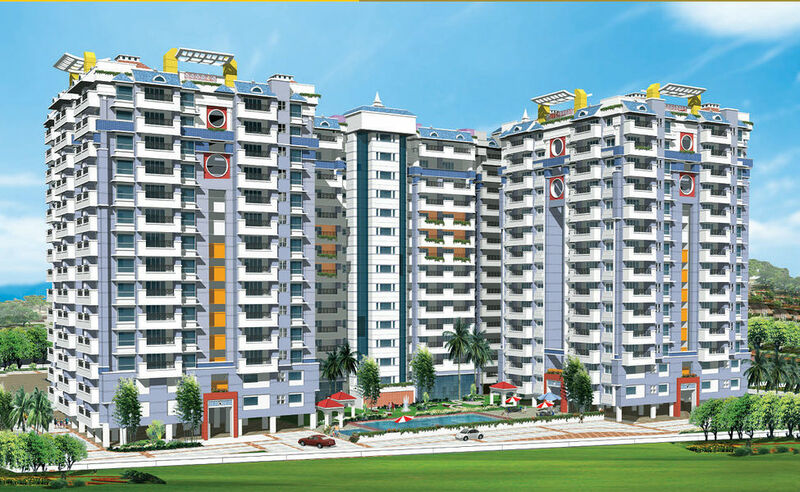 Efficiently built over a well-planned master plan with ample of space to walk around, Sai Sriram Towers is one of the projects which is suitable for a first-time home buyer also a budget home seeker to own their dream home in a green lashed locality of Hyderabad also offers ready to occupy flats for sale. Houses are skilfully designed by the experts to provide maximum comfort for the residents, ensuring all the civic amenities and special features which give the project an elegant and classy texture. The interior and exterior of the project give an eye-catching look with a classy touch to the Apartments. Featuring 590 units built in 8 towers. It offers spacious 2-5 BHK apartments that are equipped with all the amenities to facilitate the needs of the residents.